My wife and I have called Central Texas home for the past 4 years and have enjoyed the area, it's beauty and all it has to offer. I was raised in the Panhandle of Texas and Oklahoma and spent my summer's as a ranch hand. As a student at Panhandle State University, I focused my studies on Agriculture and Business. After College, I spent the better part of 10 years as a Professional Rodeo Cowboy. In addition to Rodeo, I have raised, trained and shown Reining Horses. In 1988, I was the Captain of the USA Polo Cross Team and spent time in Australia. During the 1990's, I managed cattle operation/production for ranch's in Texas, Oklahoma, Kansas, Colorado and Wyoming and was in charge of their A.I. programs. 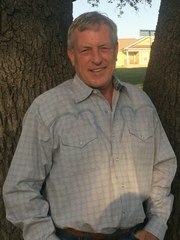 I owned, built and managed several large acreage ranches in South Eastern Oklahoma where we specialized in grass fed beef and lamb. My understanding of range management and pasture rotation is exceptional. I have been a consultant for many ranch designs, have seen them though to the building process and helped implement the ranch operation plans. In addition to the above, I have been a professional Farrier for the past 30 years and have been fortunate to be able to work on world class horses, including NRHA futurity winners, AQHA World Champions and NFR roping horses, tie-down and barrel horses. I've spent the last few years working closely with the Brazos Valley Equine Hospital in Salado on complex lameness cases. I look forward to assisting Buyer's and Seller's with their Real Estate needs.